If you have children, one of the most difficult holiday celebrations to plan might just be New Year’s Eve. Festivities tend to lean toward too adult, too early, too late, or just not available at all. But for those who live in Denver, we’ve got good news! You’re going to love family-friendly New Year’s Eve in Denver as it is one of the best places to take the kids too. The Mile High City consistently tops the list for best places to celebrate New Year’s Eve and one of the most affordable. Here are my suggestions for a family fun New Year’s Eve in Denver. 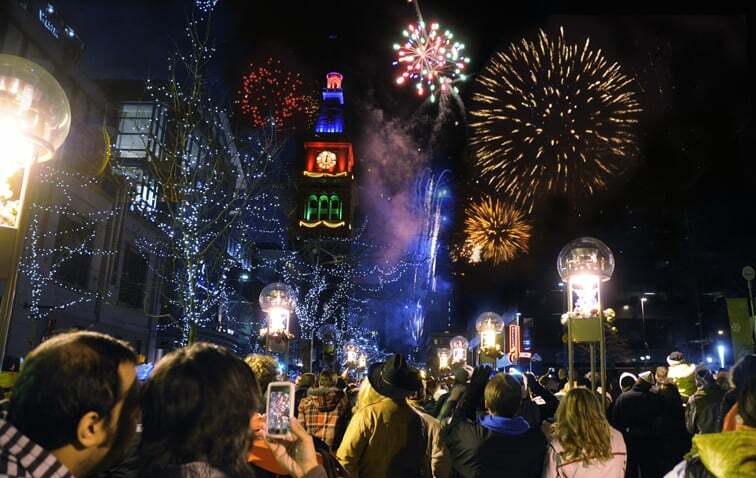 Family-friendly New Year’s Eve in Denver: Fireworks, Festivities, and Family fun. Snow-capped peaks of the Rocky Mountains set the mood for Denver’s family-friendly New Year’s Eve, and you’ll see why this city was named one of Travel + Leisure’s top cities to spend NYE. While the always popular Colorado ski slopes are a day trip away, there’s so much to do and see in the Mile High City! When you and your family are ready to say hello to January 1, New Years’ Eve in Denver is a guaranteed fun time with downtown fireworks displays, exciting festivities, and special hotel packages. But when it’s just you and the kids, where can you find the family-friendly New Year’s Eve events in downtown Denver? Below are some highlights of Denver’s family-friendly New Year’s Eve festivities. 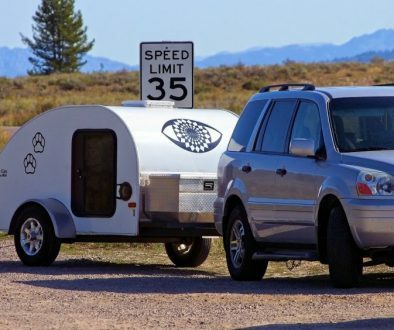 A full list of Mile High holiday ideas and hotel packages can be found at MileHighHolidays.com. Kids don’t want to be left out on the New Year’s Eve celebrations. Children can experience the excitement, thrills and festive fun of family-friendly New Year’s Eve in Denver – all before bedtime. From 9 a.m. to 4 p.m., the Children’s Museum of Denver at Marsico Campus celebrates with glittery ball drops, rainbows of confetti, and huge sheets of bubble wrap (the museum’s version of fireworks) for kids to stomp on. After the ball drops, the celebration keeps going with sparkling art projects and activities on the plaza. 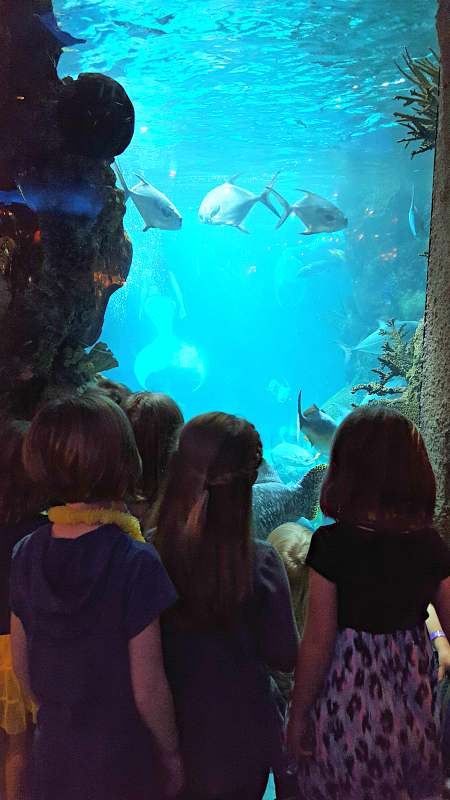 My granddaughter and her friends were fascinated when a mermaid showed up in the water at Downtown Denver Aquarium. Ring in the New Year with the Downtown Aquarium‘s mascot, Sharkey! Everything you need for a New Year’s Eve celebration is waiting for you from a beach ball and balloon drop to a sparkling cider toast. Add in photos with Sharkey and animal interactions and you’ll be the best parent ever. Bonus: Aquarium admission is included, so make sure to save extra time to explore all the exhibits. Time: 11 a.m., 2 p.m., and 5 p.m. Cost: Kids’ Buffet (ages 3 to 10): $20, Adult Buffet: $29. Reservations required. For a truly wild New Year’s Eve soirée, head to the Denver Zoo for a fun-filled night with magic shows, face painting, meet-and-greets with snow princesses, and a dance party. A special New Year’s Eve countdown happens at 9 p.m. so that kids can enjoy the holiday but still get home for bedtime. Activities are included with admission to Zoo Lights, a popular holiday tradition and light safari with sixty illuminated acres of lights. Admission to Zoo Lights is $15 for adults, $10 for children ages three to eleven, and $12 for seniors. Children two and under get in free, and members get a $2 discount on all tickets. Zoo New Years Eve hours are 5:30 to 9 p.m.
For more information, visit the Denver Zoo’s events website or call 720-337-1400. PLEASE NOTE: Activities and details change from year-to-year, so please check the Zoo’s events page for details. Ready to offer your children a once-in-a-lifetime experience? Children are invited to celebrate New Year’s Eve with a sleepover at Denver Zoo’s Bunk with the Beasts adventure! They will explore Zoo Lights, and celebrate the New Year in a safe and fun environment, while parents get a night out on the town! The evening will include a pizza dinner, an evening snack, and a warm morning breakfast. This bunk includes dinner, snack, and breakfast. Instructor to child ratio is 1 to 8. This is a Child only overnight! PLEASE NOTE: This event sells out quickly!! The 16th Street Mall closes the end of the year with two spectacular New Year’s Eve fireworks shows. Bundle up your kids and make your way to downtown Denver. This family-friendly New Year’s Eve fireworks show lights the sky at 9 p.m. (while the more adult late night version is at the stroke of midnight). 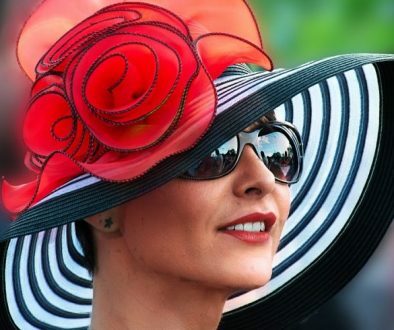 Both festivities include the fireworks, costumed magicians, mascots, balloon artists, stilt walkers, comedians and more interaction with the crowds between the shows. 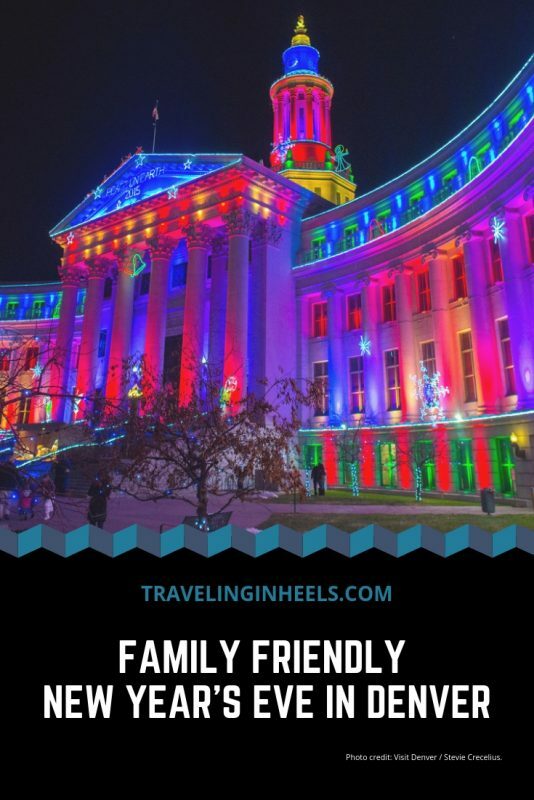 During your Family-Friendly New Year’s Eve in Denver, Colorado, explore the holiday lights on the 16th Street Mall. Photo: VISIT DENVER / Stevie Crecelius. Bundle up the kids and make your way to downtown during New Year’s Eve fireworks. Explore the 16th Street Mall before the fireworks show. Get into the festive mood with the holiday lights. Do a little shopping. Warm up with hot chocolate at the many coffee shops along the way. Hail a horse-drawn carriage for a horse-eyed view of the city. 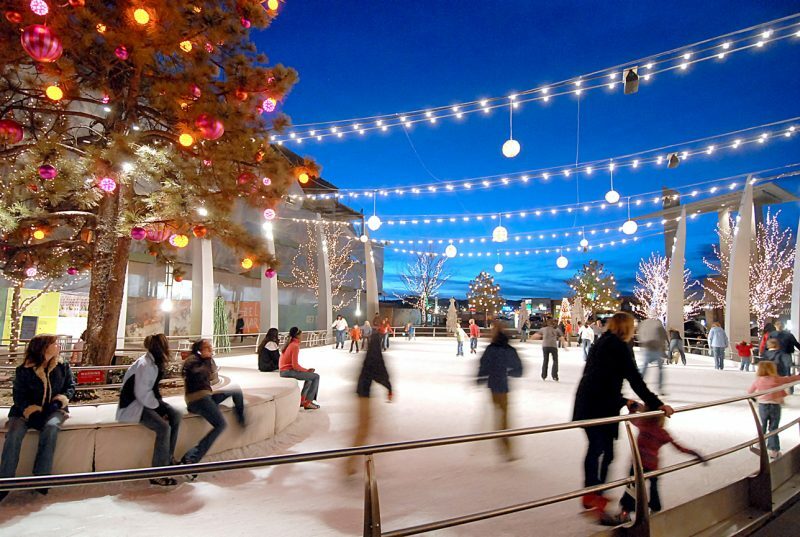 The 16th Street Mall is a picture-perfect holiday experience. Take a nostalgic ride on the Denver Pavilions carousel on New Year’s Eve. 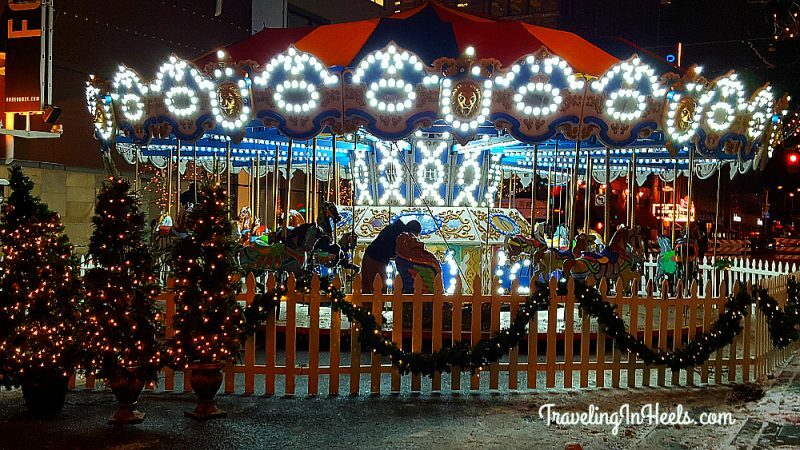 Get into the holiday spirit by taking a ride on Downtown Denver’s first & only Holiday Carousel. From mid-December to January 2 each year, rekindle that holiday magic at the Denver Pavilions with $3 rides — or use your free voucher from any Denver Pavilions merchant. The Holiday carousel is also open on New Year’s Eve. A portion of proceeds goes to Food Bank for the Rockies. Did you know? This Holiday Carousel was featured in the Jennifer Lopez movie Selena. Make it a family vacation in downtown Denver and get front row seat to so many NYE celebrations. Numerous Denver hotel deals extend throughout the holiday season, including New Year’s Eve. 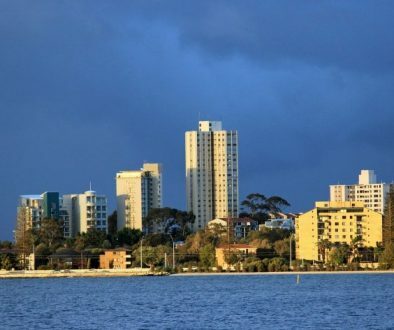 There are many budget-friendly hotels available. 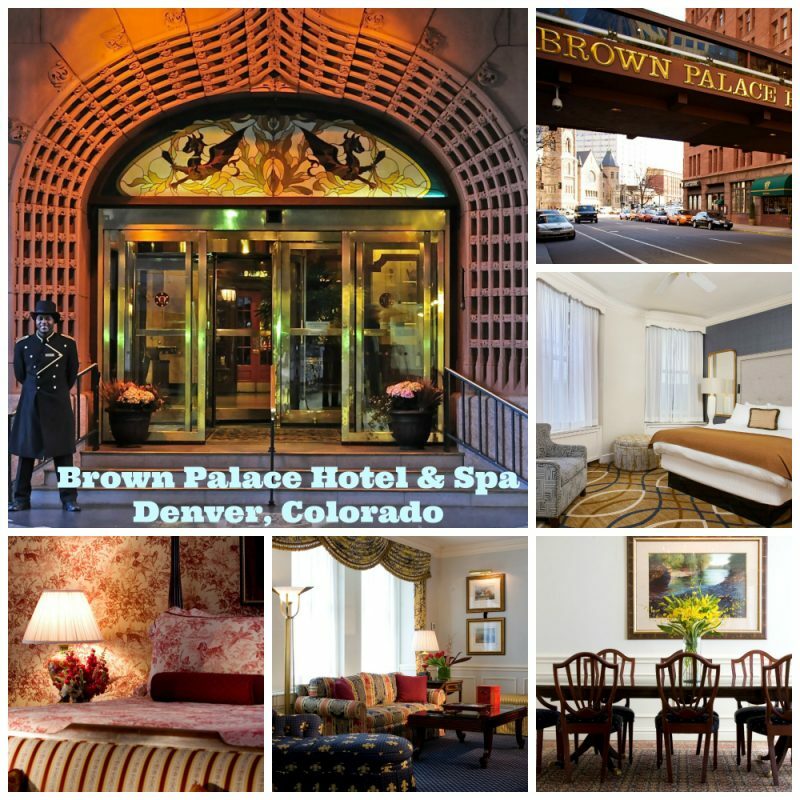 If you’re willing to splurge, one of my favorite hotels with the family is the elegant Brown Palace Hotel & Spa, where luxury and ambiance combine to make history come alive in this downtown Denver hotel. My daughter, granddaughter and I experienced the 9News Parade and the holiday lights with a stay there in December. The finale was breakfast at the Brown with Santa (while mommy and grammie enjoyed mimosas). 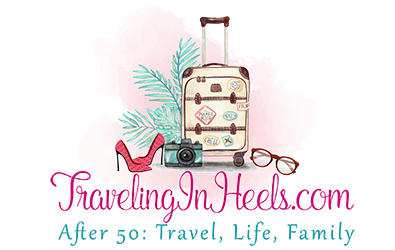 TravelingInHeels.com Tip: Click here for free things to do in Denver in the winter. 5 Amazing Travel Destinations: Cycling in Slovakia	3 Amazing Adventures in St. Thomas Virgin Islands U.S.